A dark bronze finish on this metal accent arm chair projects a relaxed, cool style perfect an industrial or eclectic decor. The light brown faux leather has a weathered look is a versatile neutral. 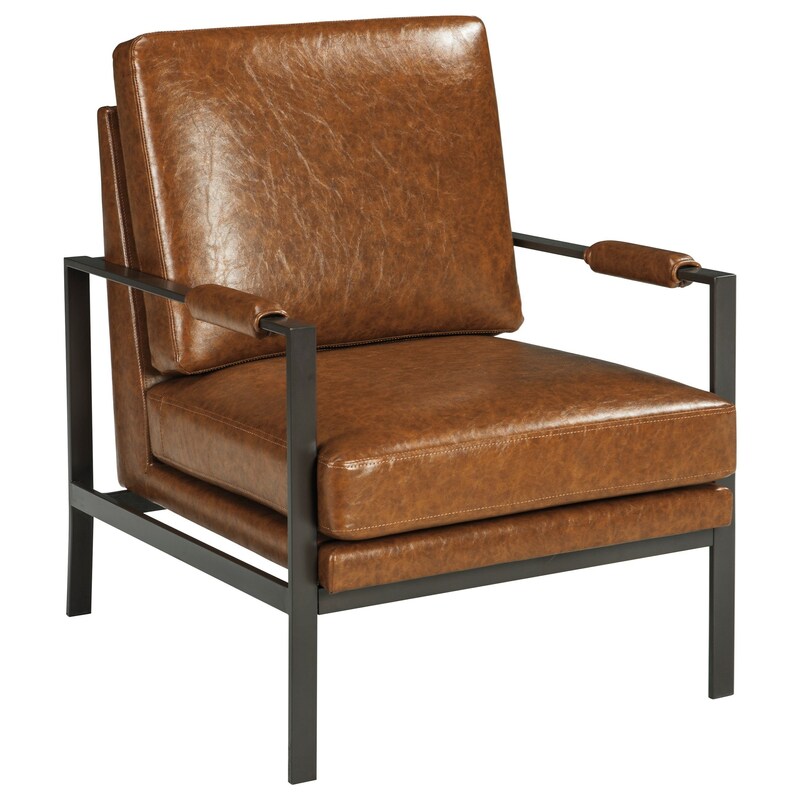 The Peacemaker Dark Bronze Finish Metal Arm Accent Chair with Light Brown Faux Leather by Signature Design by Ashley at Value City Furniture in the New Jersey, NJ, Staten Island, Hoboken area. Product availability may vary. Contact us for the most current availability on this product.